When deciding on a lien release vendor, it is important to choose an organization that places importance on each individual order; working effortlessly to not only reduce the mountain of liability, but to eradicate it altogether. Download the Risk Analysis Procedure today! The NTC Business Development team is at it again, as they will be attending back-to-back conferences April 14th - 17th. John Hillman, CEO Nationwide Title Clearing, Inc.
As the CEO of a service provider to the US mortgage lending industry, I’m always asking myself how my team can do a better job of delivering our offerings to our lending and servicing partners. In the process of answering this question, I have come to realize that the relationship with the customer in a service business doesn’t start with the sale. It starts long before that. NTC is excited to announce that we will be exhibiting the Structured Finance Industry Group (SFIG) Vegas conference this coming weekend, February 24th - 27th in Las Vegas, Nevada. 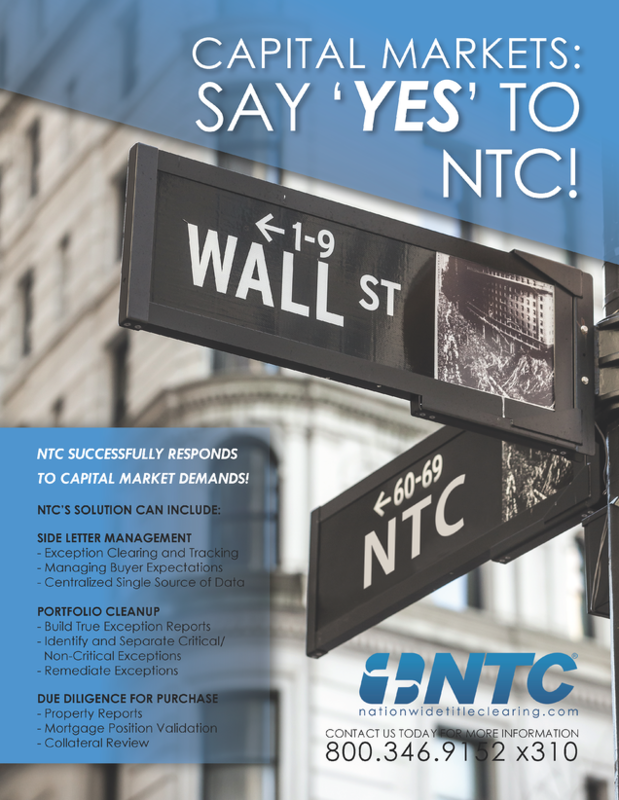 Stop by booth 30 to say hello to some of your favorite NTC executives and for unparalleled expertise on how NTC can assist you with your mortgage collateral and title curative services.